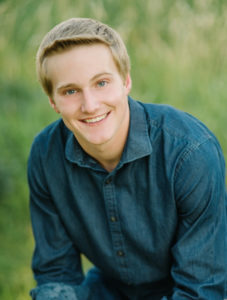 LCS Senior Trent Lockard was recently accepted into the University of Nebraska at Lincoln’s College of Business Honors Academy. With an extensive process, high-standard selection criteria, and only 40-45 students selected annually, this is an exceptional honor. The Honors Academy is a four-year, cohort-based, enhanced business curriculum for high-ability students who have the potential and desire to become the next generation of business leaders. One of the things Trent looks most forward to is meeting his cohort and working together with them. Trent’s plans are to pursue a career in finance and then law afterward. His personal goal is to own a business. He’s always had an interest in the stock market and law and how the economy and law are connected.